October 13, 2012 October 18, 2012 Nefer Khepri, Ph. D.
Does the world really need another photographic collage tarot deck? Well, if you have seen images of the cards from The Sirian Starseed Tarot your answer would most likely be the same as mine ~ yes, we do! Patricia Cori received images & impressions from the Sirian Star System via channeling & this deck represents a collaboration between the information she received and the translation into images by Alysa Bartha, a self-taught metaphysical and intuitive artist who is the daughter of a Celtic Druid Bard and Ovate. Through the combination of photography with graphic art, Alysa Bartha creates images that are etheric and seem to give us rare glimpses into another realm. 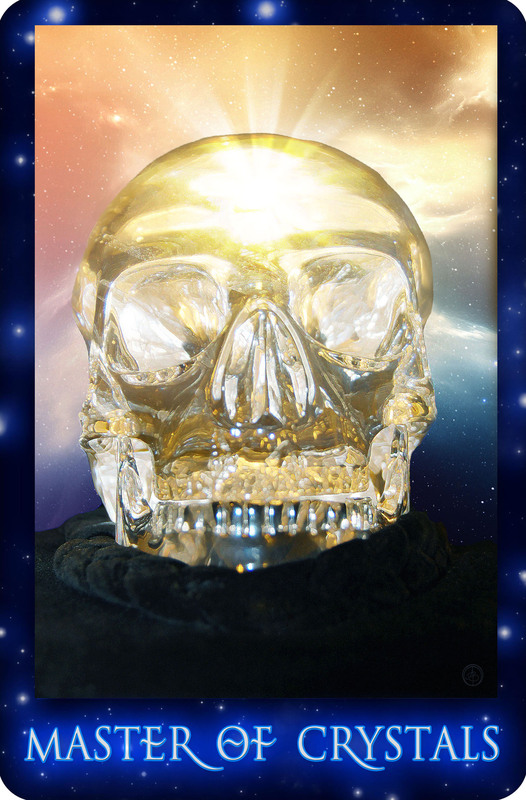 Patricia Cori wrote the guide book and is a channeler for the interdimensional entities from the Sirius Star System . She has appeared in several documentaries and hosts her own radio show on bbsradio.com, “Beyond the Matrix: For People Who Dare to Think Outside the Box of Convention” that airs on Saturdays. Patricia Cori leads sacred journeys annually to important spiritual centers and teachers workshops around the world. 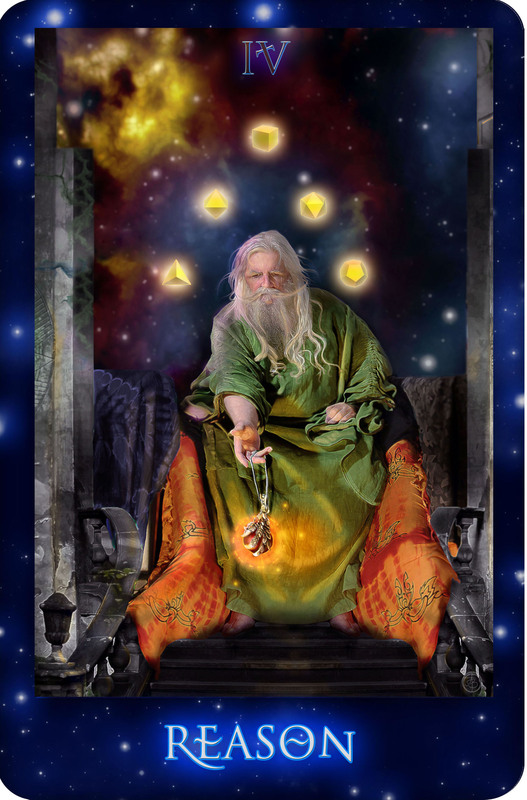 Given the outstanding credentials of these two individuals is it any wonder their combined talents have resulted in not only a gorgeous deck to behold, but a truly helpful and astounding tool of spiritual discovery, the Sirian Starseed Tarot. The cards measure a whopping 4X6”, which is large by tarot card standards, so yes, they are quite large and for many can be difficult to shuffle. They are made of a sturdy and somewhat heavy card stock. Combined with a heavy yet yielding laminate the deck when stacked stands at 1 4/16” tall. The size of the cards combined with the stiffness and thickness of the card stock make The Sirian Starseed Tarot a difficult deck to shuffle. However, the overall quality of this deck is outstanding with the high quality card stock and laminate used and it is my hope that North Atlantic Books will publish many more tarot and oracle decks of the same superior quality as the Sirian Starseed Tarot. The minor arcana, Ace through 10, are interpreted and each concludes with a set of meaningful questions you can ask yourself when you receive a particular card in a reading. The court cards, however, are not i ndividually interpreted. 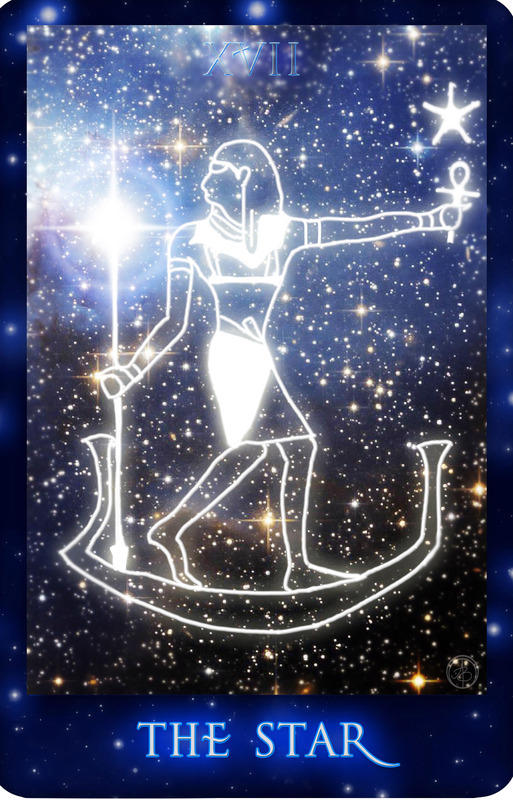 There is a general description of them, the main point being that the court cards of the Sirian Starseed Tarot represent degrees of “spiritual maturity, descriptive of the journey along the path of awakening” (guidebook, p. 75). A general interpretation of each type of court card (Seeker, Adept, Sage & Master) is provided, but there are no specific interpretations according to suit. I discovered that when you receive court cards in a reading it also helps to read the brief introduction of that particular suit as well as it adds to the meaning of the court card when learning how to use this deck. Reversed interpretations are not provided. However, there is a brief one-page explanation of what the appearance of reversed cards may indicate in a reading. As with every deck in my vast collection the very first question I pose is ~ “how will you and I get along; what sort of a relationship will we have with one another?” For my answer I received the following: 2 of Flames, Indigo, and the 6 of Chalices. 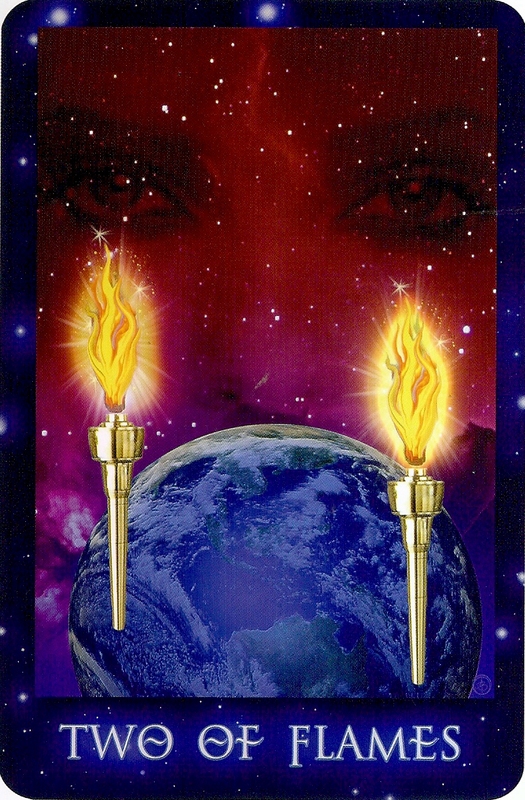 The 2 of Flames represents being faced with a choice, choosing the path that is for your highest good, using focus and intention to manifest positive change in a situation. 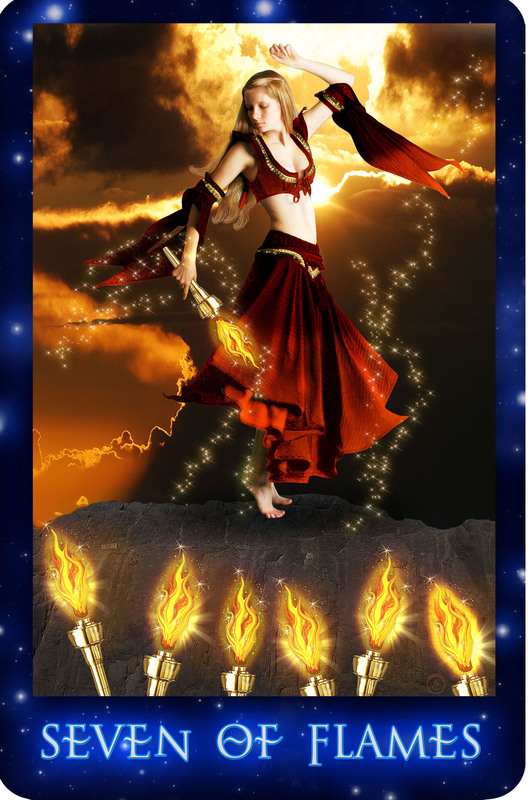 Further implications of the 2 of Flames are choosing your path in life or making a commitment to a higher course. 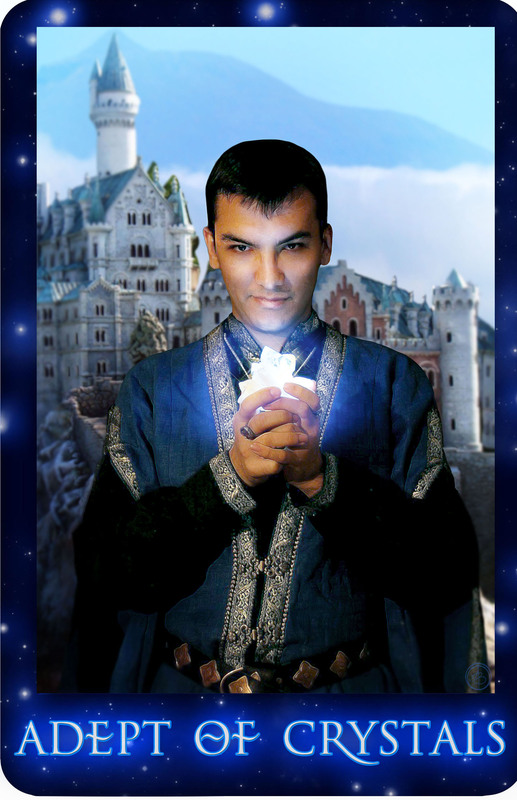 The next card is Indigo, traditionally known as the Magician. Indigo is the power behind manifestation, of making good use of one’s gifts, talents, and tools at one’s disposal in order to manifest changes in reality. The 2 of Flames presents the choice to do this. Indigo is the energy to carry out the goal of manifesting positive change. 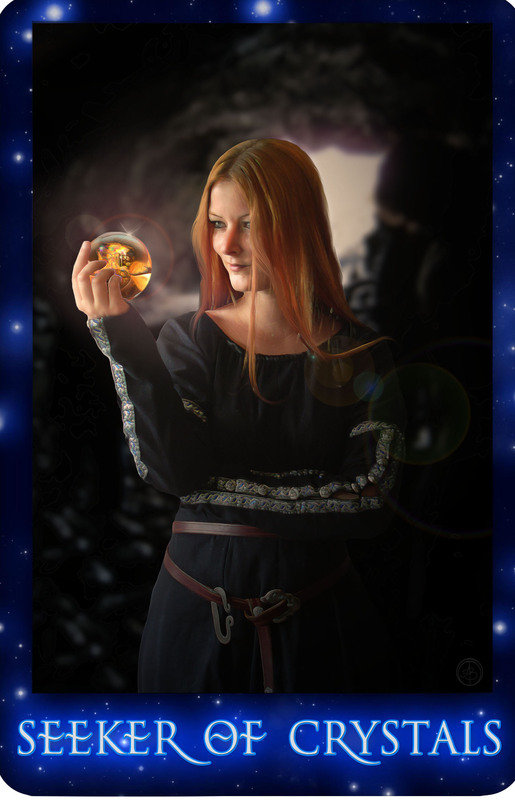 The final card is the 6 of Chalices. Representing friendship, nostalgia for the past, and child-like innocence, the guidebook further states that the 6 of Chalices represents a “celebration of the innocence and trust of the decisions made at the soul level.” Here we come full circle with this reading. The 2 of Flames presents me with a choice. The choice to fully get to know this deck or quickly move on to the next one. 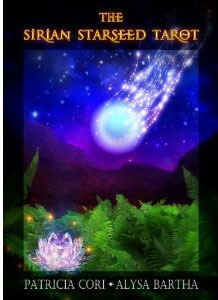 Indigo tells me this deck has the energy and the tools to help me to make and implement my decisions. 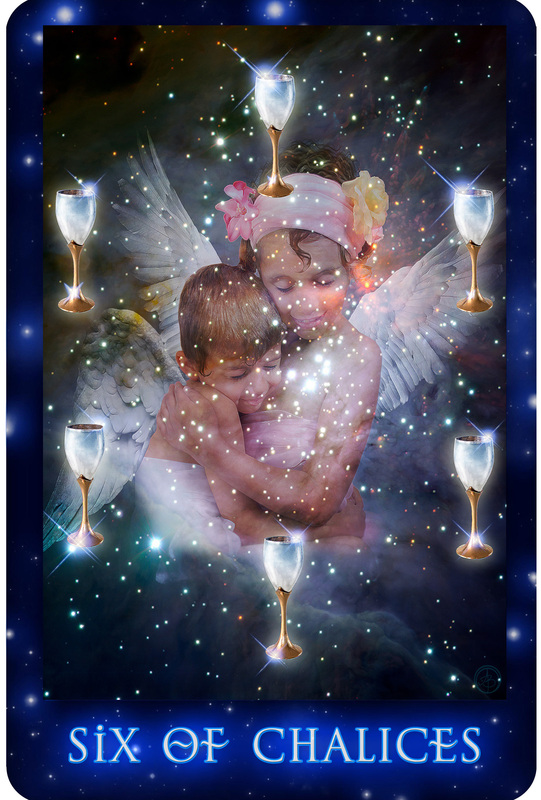 The 6 of Chalices says that this particular decision is to be made on the soul level and that the Sirian Starseed Tarot and I can become great friends. I have never had a deck that immediately attempted to speak to me on the soul level in the very first reading with it. 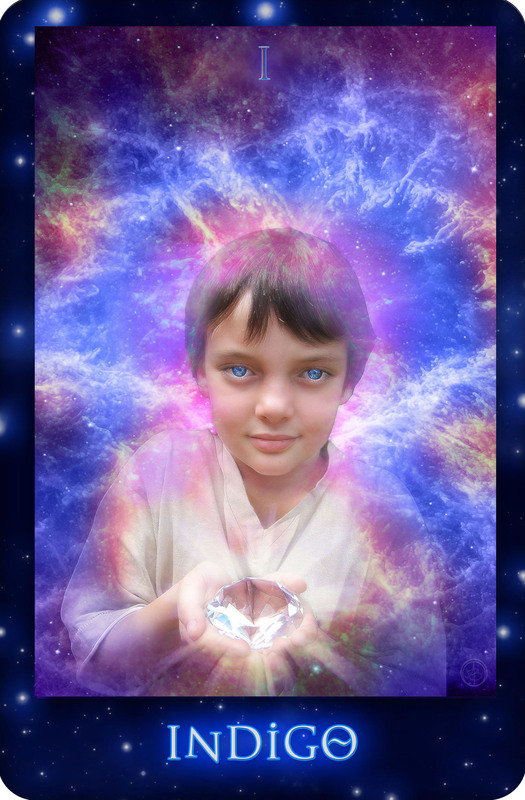 When I received the Sirian Starseed Tarot and opened the package I could feel its energy already reaching out to me. That is incredibly rare. As I examined each card they practically tingled in my hands, some more so than others. 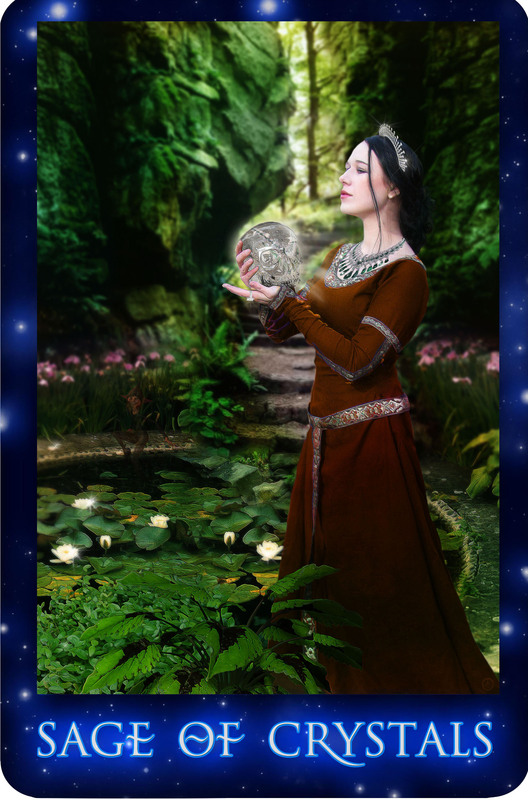 This reading tells me we all have the choice: stay put, keep to the status quo, ignore change – or – leap forward, make choices that result in growth and spiritual evolution. This deck is saying it contains the tools and the energies to help us accomplish that if we relate to it as a friend and in the spirit of child-like innocence. Are you ready for the journey? I am. Previous Deck Review: The Secret Language of Birds. Next Deck Review: The Mary-El Tarot.